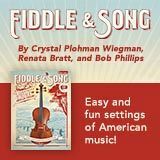 Some more questions to consider: In what ways do lessons and group classes support the development of cooperative musicians? How can teachers support one another in their work? 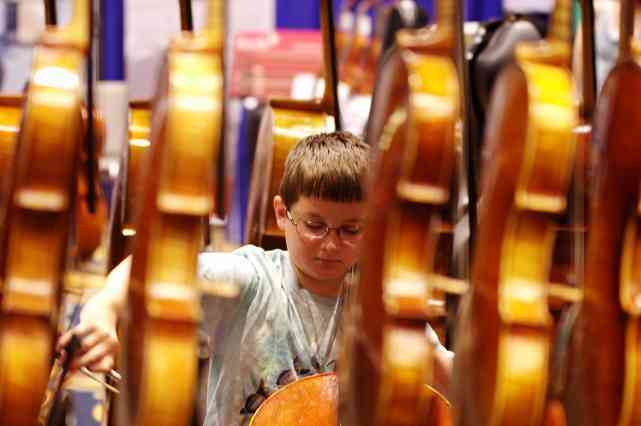 How are strong bonds formed within studios among parents and students? 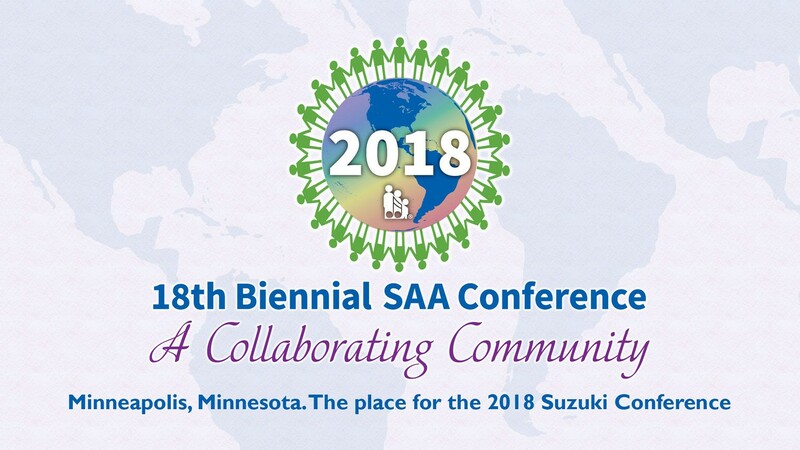 As we look beyond our SAA community, how can teachers, parents, and students share and spark interest in Suzuki education through collaborative activities outside the Suzuki community? In the coming year, notice how collaborations support your Suzuki work, and come to the conference ready to hear new ideas for strengthening those connections! *On-site check-in will begin Thursday, May 24 at 3:00 PM and goes through the weekend at the Hilton Minneapolis, 3rd floor. Regular conference event begin 4:30 and Events will conclude at 11:45 AM on Monday, May 28. *Special event may include Wednesday evening and Thursday. This year our students will have the chance to work with numerous guest clinicians, including the Montrose Trio, sponsored by Robertson Violin. New this year are the Cello Choir and Viola Choir. Piano ensembles will feature duo piano performances of movements from the Carnival of the Animals by Camille Saint-Saëns. To highlight the importance of the upper Suzuki violin repertoire, a Suzuki Violin Book 7/8 demonstration group class is being planned with participants drawn from SYASE and other events. Students prepare an audition exemplifying mastery and ease of their piece. Students have a rare opportunity to rehearse, socialize, and perform with students from many different places. Teachers observe, learn and inspire each other, and parents support and celebrate their children’s hard work and progress—a true collaboration of our Suzuki community! Find detailed information about Student Events and Audition Requirements.